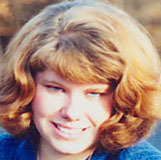 Hutchings disappeared from Bend, Oregon on November 1, 2004. In March 2007, her body was found in a shallow grave on Forest Service land near Sunriver, Oregon. She had been murdered. Two suspects have been arrested and charged with Hutchings's kidnapping and murder.